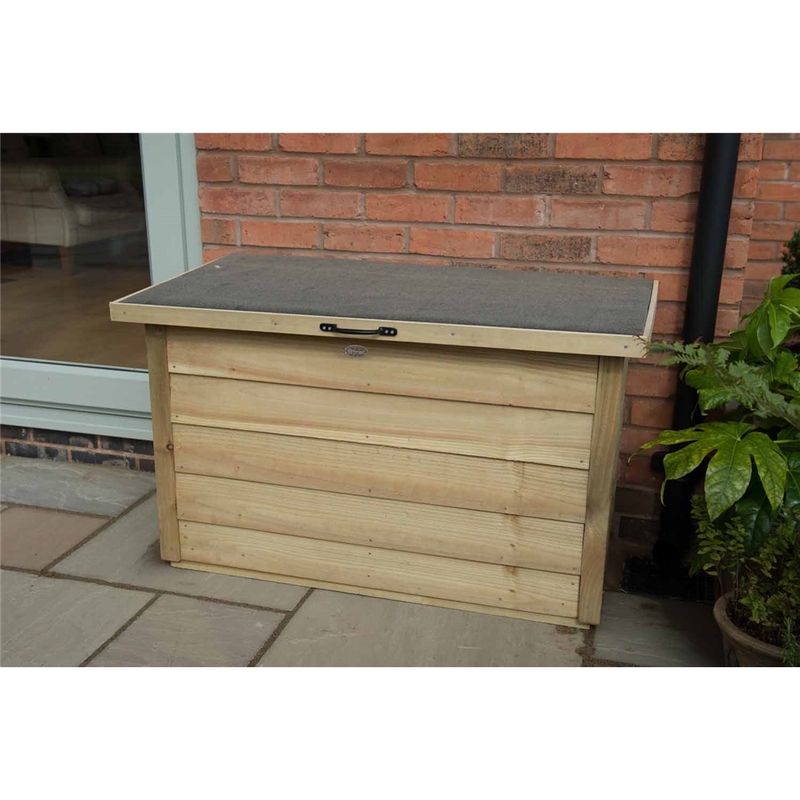 This pressure treated garden storage box is an affordable solution for keeping your muddy walking boots, toys or garden tools tidy, out of sight and protected from the weather. 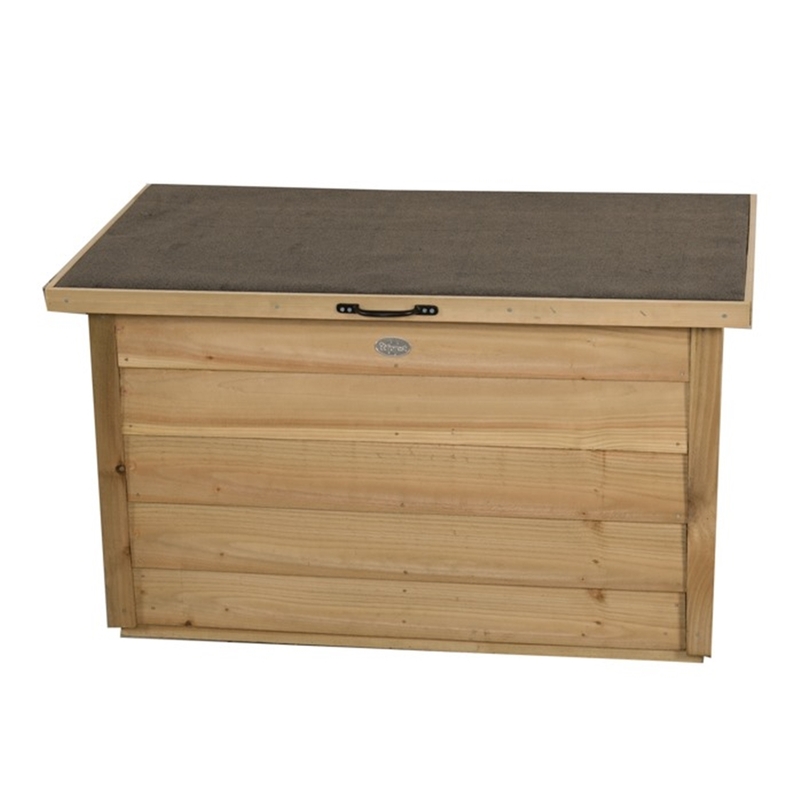 Due to the small dimensions of the storage box it makes it ideal to place by your front or back door, on the patio or even inside your workshop or garage. The box's capacity is 300 litres making it perfect for keeping your garden area clutter free and can also be used as a parcel drop box. The product is manufactured from traditional overlapping timber panels which have been pressure treated in order to protect them from rotting or fungal decay. The floor of the storage box is mounted on top of pressure treated bearers to keep it dry and off of the ground. 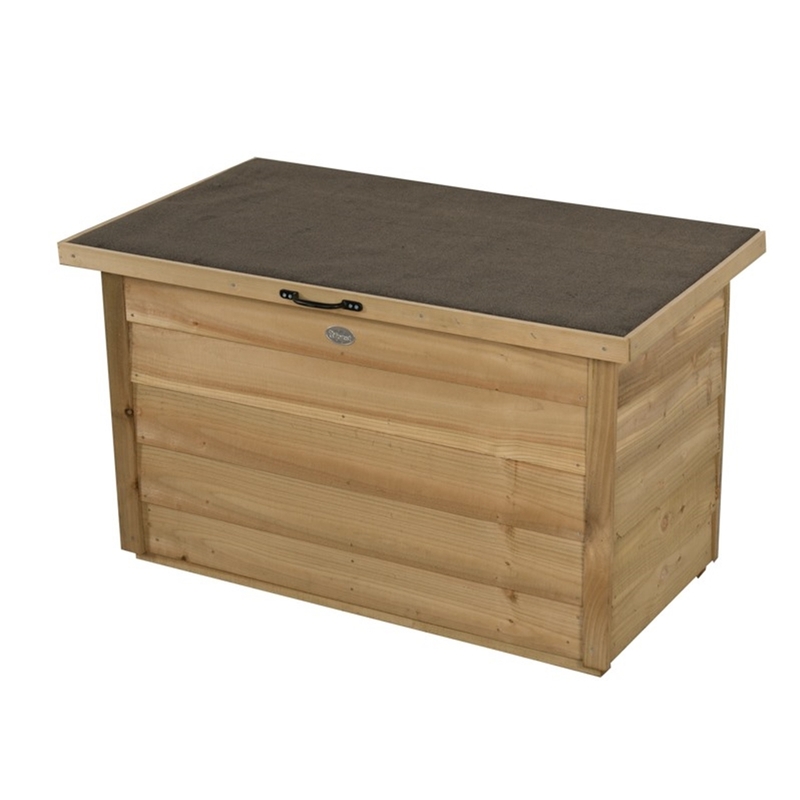 The garden box has a lightweight lift-up lid which includes a practical handle and is hinged to allow quick and easy access to the items inside and is further finished in a golden brown colour.